I am putting up my tent 45 miles from the nearest paved road and, as far as I can tell, at least 10 miles from another human being. I have come to this place to find solitude, to be alone for a day — or more properly a night. The car pulled up alongside a half-fallen barbed-wire fence about 2:30 p.m. I expect not to move it for 18 hours. To the east, I can look into the wide mouth of Broad Canyon; to the west, the dark, tree-covered bulge of Mount Trumbull. Something like 15 miles to the south is the Grand Canyon. Sagebrush and dust fill the flat bottom of Toroweap Valley where I have chosen to stop. It is the quietest I have ever experienced. When the wind dies, the loudest sound is my own breathing. 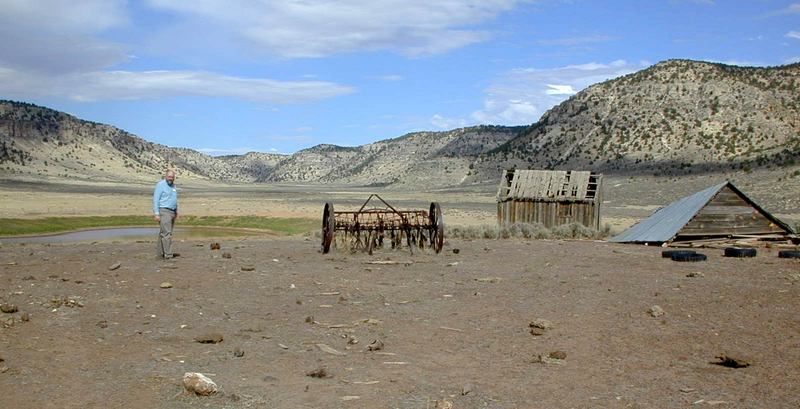 Isolation and solitude have long been a part of the American Western experience, when you could ride for days and not see another human being. But empty places are harder and harder to find, as the West fills in with master-planned housing developments and outlet malls. There is a tradition of solitude in almost every culture: It is the chance our busy, crowded societies make for going into ourselves to find ourselves. In Australia, they go on a walkabout; American Indians have their vision quest. Even stodgy 19th-century Englishmen had their “Grand Tour,” which served the function of giving them some time to themselves. But finding the isolation for such a quest is becoming harder. With 7 billion people on the planet, we now have an average of more than 100 people per square mile of the Earth’s dry land. The planet has become a tenement. The desert city, Phoenix, Ariz., registers in with 2,300 people per square mile and New York with 10 times that density. Nowhere in America, though, comes close to Hong Kong, with more than 77,000 people per square mile. Is it any wonder solitude is a lost virtue? America as a whole has about 400 people per square mile; Arizona has fewer than 50. But the Arizona Strip — that region I have chosen to camp in, the land north of the Grand Canyon and south of Utah — is genuinely empty. If you subtract the piddling population of Fredonia, the Strip has 0.14 person per square mile — or fewer than three people every 20 square miles! So. Toward Broad Canyon, there is an abandoned two-room shack — an old line house for the cattle ranchers — and another that has collapsed. 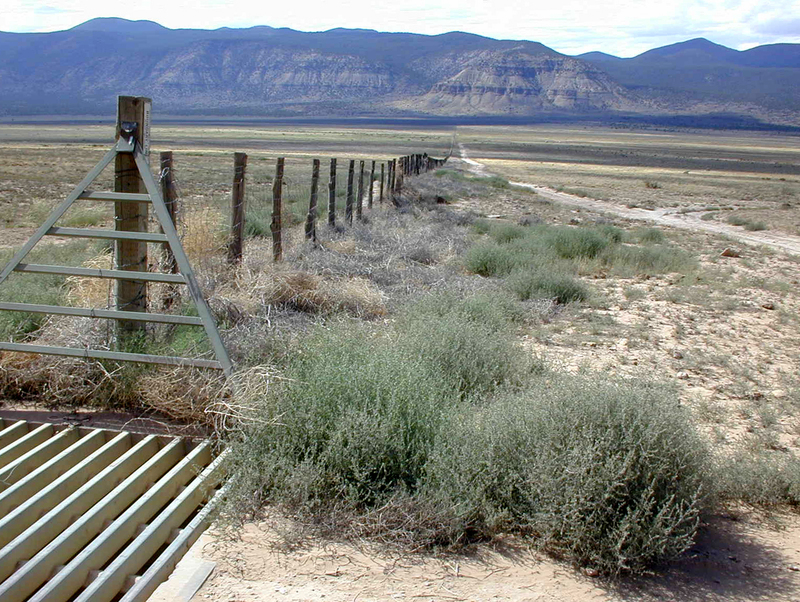 There is also an old harrow and an empty galvanized steel water tank and 687,000 cow pies. When you are alone for long, you have time for things like counting. Why choose an abandoned line camp as a place to be alone? I find solitude has more to do with your awareness of being alone than with the mere facts of the case. The most isolated man I ever saw was sitting on the floor of the 42nd Street Bus Terminal in New York City. So I chose the old tires and weathered shack because they said more about absence than the landscape did by itself. The first thing you notice about being stuck out in the middle of nowhere is the boredom. You look at your watch and realize you have survived 12 minutes alone so far. Time seems to come to a halt. You cannot imagine what to do for the next 18 hours. What one normally does, of course, is fill up time with work and entertainment. But my work is being alone and I have taken a vow of media chastity for the duration: no car radio, no books, no iPod. I have promised to face the silence. To fill that void, at first you create busyness. I hike up the knoll to see from one end of the valley to the other. I walk down the knoll. I use my binoculars to look at some birds and to scout the neighboring hills for signs of human habitation. There are none. I set up my tent and cook stove. Breaking through that boredom is an important first step. You come to realize that the buzz of constant media is a kind of shell protecting you from boredom. Without it, you must come to terms with your physical existence. TV and radio make us aware of our cultural existence, but can hide ourselves from ourselves. Being in the open with no chance to escape forces you to “front the essential facts of life,” as Thoreau had it, and find a way to do nothing. Time slows down. The buzz-buzz, quickstep of daily life makes us believe the world is actually moving as fast as our illusion of it. But that forced march is something we impose on ourselves. In solitude, you find the world is glacial. As you become accustomed to that tempo, you find it expansive, full, teeming and ripe. Certain Native American cultures recognized this. They taught their young people to look without naming. To see without asking why. My wife’s grandfather taught her something of the same lesson, when he took her out to the woods to watch wildlife. They would say absolutely nothing, but they would see a great deal. In Japanese Zen, the same thing is called “quieting the mind” — wu-nien in Chinese. If you can empty your brain of all its chatter, you can begin to exist on the knife edge of this clock tick and not some other. At 6:30 exactly, with the sun already below the planet’s edge, the first star came out, directly overhead. It was Vega, in the constellation Lyra. The rest of the sky is still a glowing cyan with an orange wedge in the west. So far from civilization, the night sky is a revelation. As the night darkens, the stars pour out like sand from a beach pail. By 7:30 the sky is hysterical. I haven’t seen so many stars since I was a child. The Milky Way ran from north to south like the river of incandescence it is, splitting like a tributary stream from Cygnus to Sagittarius. I sat on the car hood, leaning back with my head against the windshield and looked straight up. For 2 1/2 hours, I sat there, looking up, trying to do nothing and think nothing. Just look. What at first seemed to be a solid bowl overhead, with pinpricks punched in it for the light to shine through, later took on depth. It became a lake with fish-stars swimming in it at all depths. As I reclined on the hood, I suddenly had the sensation of being a figurehead on a ship, or a hood ornament on a car, speeding into the three-dimensional emptiness defined by those stars. And, of course, I was. I was having my vision, as it were. But it is my particular stubborn sensibility that my vision turned out to be factual. This has happened to me before. Each time I enter the visionary world, it turns out that the transforming image I am given is grounded in simple fact. I really am on a stony vehicle careening through stars. It is just that in everyday life, we never think of it that way. Given the solitude and the velvet sky, the obvious becomes apparent. When my joints were finally too stiff from sitting in one position for so long, I decided it was time to sleep. I crawled in the tent and dozed off in the silence. Less than an hour later, I was started awake by the Coyote Tabernacle Choir. At least 20 of them, from all directions in the hills surrounding me, began their yipping and yowling. For about 30 seconds, they established their identities and locations and fell silent again. I realized that alone in the dark silence, my senses were electric. I thought of the monkey-men in 2001: A Space Odyssey when they huddle in the cave, growling apprehensively at the growling predators in the distance. Solitude makes you vulnerable. But drowsiness conquers alertness. An hour later, I woke up again — popped awake, really, like bread from a toaster — as a great horned owl screamed. His “Hu-Hu … Hu … Hu” was as loud as a man yelling next to the tent. That instant before I knew what it was, I was riveted, as alert, awake and ready for action as I have ever been. The moment I could name the experience, however, it quieted down once more and became part of everyday reality. It lost its sheen. Later, I woke up again as a bug, caught between my tent and rainfly, buzzed away, vibrating the nylon like a dentist’s drill. I cursed myself for going to the extra trouble of adding the rainfly in such a dry landscape. An hour later, I woke up again as lightning and thunder clapped around me and rain spattered on the rainfly. I praised my wisdom. At 3:30 in the morning, I got out of the tent to look at the sky again. It was all turned around. Orion was now up and bright as searchlights. And the Milky Way went east and west, having revolved around the pole star. So, this bullet we’re riding on is rifled. The night went on like that: One sense input after another, so busy through the nocturnal time-sluice that I hardly got any sleep at all. At 6 in the morning, the coyotes yowled again, and I decided it must be time to get up. The east was whitening, although the sun was behind the mesa. When I drew open the tent flap, I saw the blue sky patched with gray-brown clouds, and dangling from one of them was a rainbow. It was not much more than a yellowish bright spot against the angry cloud, but I saw its familiar arc and promise. We live two lives. In the common one, we are one in 7 billion, a single voice in a clamor of humanity, spaced 100 per square mile. We function as part of the crowd. But in that other life, we’re alone. We are the one, the singular — heroes in our own life’s epic, even, and we recognize the solitary importance of ourselves to ourselves. The first life is brought to you by television, newspapers, books, radio and movies. It is a cultural existence, defined by other people. It is the madding crowd we are never far from. The second life comes to you when you seek it, alone, in quiet. Ultimately, to yourself and your family, it is this second self that is important. When my great experiment was over, and my tent packed up and my car finally back down the 45 miles of dirt road and back on the highway headed home, I automatically reached for the radio, to end my media fast. But after only a few seconds of music, I found the sound annoying. The quiet felt more satisfying. And although I almost always drive with the music blaring, I just couldn’t bear it. I have not turned it on since. I am not sure how long this will last.